CSIR NET Dec Application Form 2018 – he Human Resource Development Group of CSIR has provided the link for checking the application status on csir.hrdg.in. 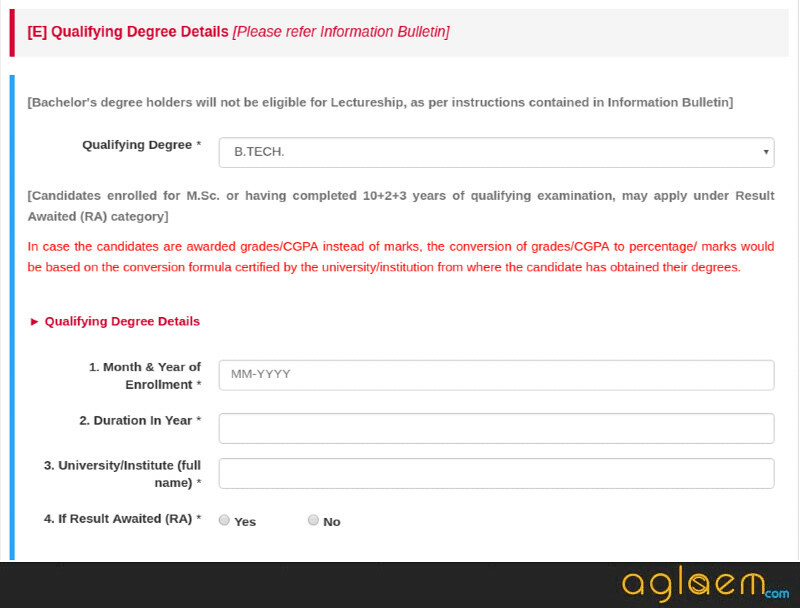 The registered candidates can check the status of their application form. 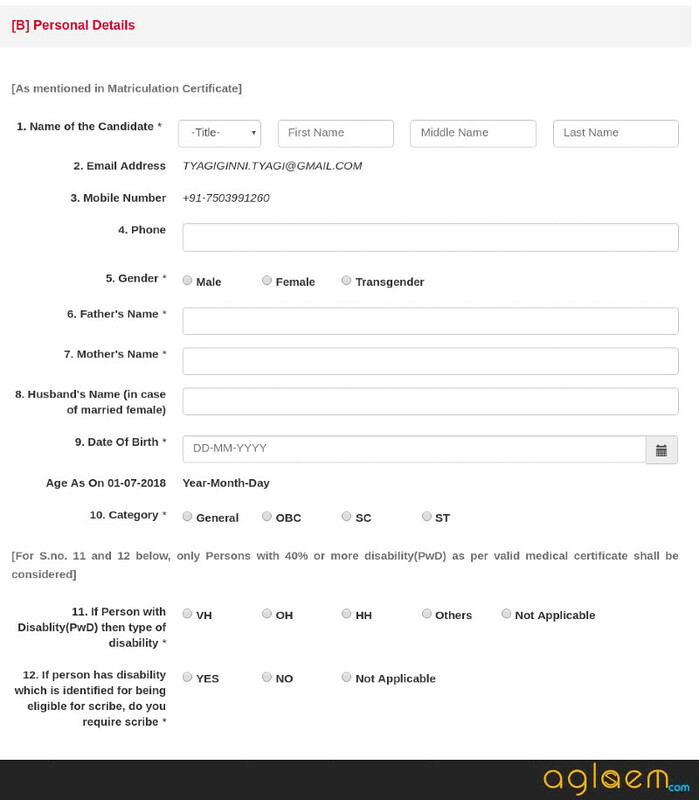 To check the status the candidates have to insert the form number and date of birth. The last date to submit online applications was October 17, 2018. Now the process has been extended for two days. The candidates can submit their applications till October 17, 2018. The Application Forms was available online at the official website of CSIR-HRDG www.csirhrdg.res.in. The exam date for CSIR NET 2018 is December 16, 2018. The Applications for JRF/NET are invited twice in a year by CSIR. The detailed information regarding the CSIR NET Dec Application Form 2018 has been provided on this page. 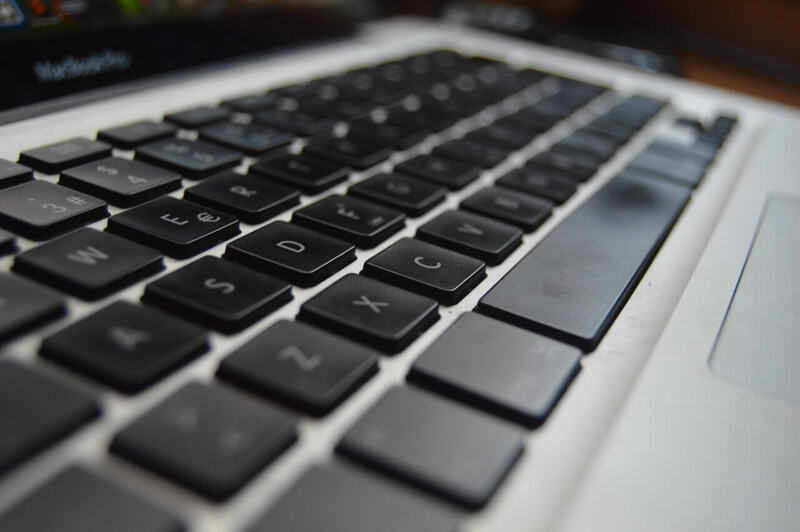 Latest: CSIR NET Dec 2018 aspirants can check the status of their application form the link provided below. Status of Application: Click here to check the application status. Your signature should not be in Full CAPITAL LETTERS. The candidates should fill one application form only if any candidate fills and submits more than one application then the application last submitted by the candidate will be considered. Those candidates who belong to OBC Creamy layer will be considered in the General category. Those candidates should fill ‘General’ as their category while filling the application form. Concession for examination fee will be valid only if the candidate attaches a self-attested category certificate. If the candidate fails to do so, then the claim for concession will be rejected. How to apply for CSIR NET Dec 2018? Click on the direct link which is given above to register for CSIR NET Dec 2018. 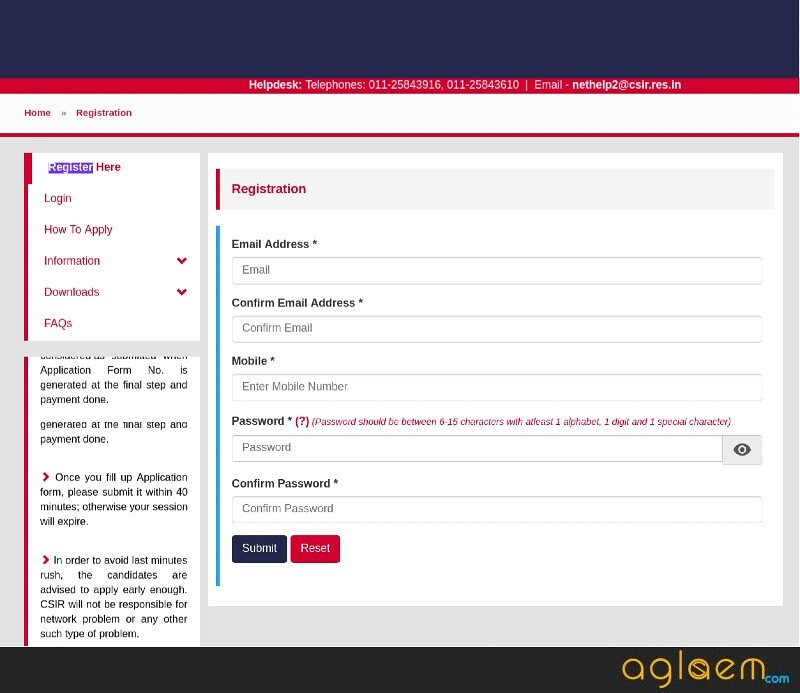 To register for the exam, the aspirants need to enter details such as Email ID, Mobile Number, create your own password, etc. On submitting the login details, the candidates will receive the OTP at their Email ID and Mobile Number. Enter the OTP and submit it, after which you can proceed to fill in details in the Application Form. After entering the necessary information, the aspirants need to upload the following documents as per the specification given below. After filling all the details, there will be two option at the end of the page- ‘Preview and Submit’ and ‘Reset’. 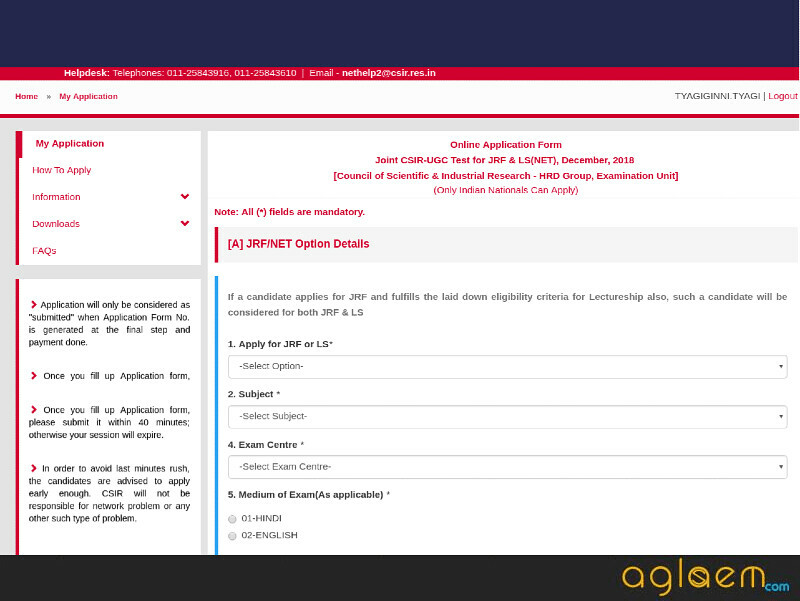 If you have completed all the details, then preview your application and then submit it. If you have made any mistake and you see it after preview, then click on the ‘Edit Application’ and make the suitable changes. In the last step, you will be asked for fee payment. Click on ‘Proceed for Payment’ for the examination fee. An Application Number will be generated after you submit your application form. Note it down for future purpose. Make sure to take a print out of your Application Form. If you have any queries about the CSIR NET Dec 2018 Application Form, then let us know in the comment section below. Hello sir actually I am very worry about one option which I filled in CSIR NET JRF Form .I am Btech graduate in mechanical and I applied for mathematical science. Actually In specialization I filled Pure mathematics and i don’t know what to bring filled there.